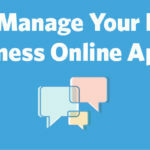 ﻿ How to Manage Your Personal and Business Online Appearance » Red Mango Marketing! Most small business owners understand how social media marketing can benefit their business–or at least why it’s important to be on social media. After all, most of your customers are already there, along with your competitors. So, if your business doesn’t have a social media presence, you not only miss opportunities to reach and engage customers, but you also risk losing them to your competition. What many business owners have yet to master, however, is the line between their personal social media use and that of their business. The public often looks to business owners as the face of their companies. Like it or not, the personal values and actions that you display on your own social accounts—good or bad—reflect back on your company. Think Tesla, Elon Musk’s Twitter account and the resulting federal lawsuit. Or, for some positive examples, consider how Ariana Huffington uses her personal social media to spark discussion around the future of work, and how Bill Gates shares information regarding social entrepreneurship and philanthropy in the developing world. When these business leaders display positive personal values via their own social accounts, they also generate goodwill for their companies. Need another reason to pay attention to your personal social media use? Beyond representing your company in a positive light, another of the many responsibilities you must master as a small business owner is networking. Social media offers a great avenue for you to personally connect with potential partners, vendors, influencers and, yes, customers. While your business can benefit from your personal brand, your personal actions on social media could also be a detriment to your business. So, while your own social accounts can work in your favor, there are a few pitfalls to avoid if you’d like to skip adding, “File a small business insurance claim” to your to-do list. Consider the following list of don’ts. Otherwise, you may find yourself losing followers or even bringing bad press upon your business. Use your personal accounts to double as your business accounts. Not only does this practice violate some social networks’ user rules, but you will also miss out on valuable analytics tools and insights that are included with business pages and accounts. Plus, you’ll risk mixing your personal news, views, and updates with your business news which could result in some embarrassing public blunders. Constantly promote your business via your personal accounts. Chances are your friends and family would be glad to hear about your major business milestones and accomplishments, but if you abuse your posting privileges to constantly promote your business or products, you’ll likely annoy a few of your followers and even lose them. Business accounts are advised not to solely post “salesy” content – business owners shouldn’t either. When you need to write letters related to your business, you likely take the process seriously, maybe even taking pains to find and follow a proven business letter template. So, why wouldn’t you take a minute to consider whether your comment is appropriate and inoffensive before pushing that tweet button and making it public? Even if you think of one account as personal-only, with no professional ties, screenshots and shares can help anything you post—or even ‘like’—reach a wider audience which could result in backlash against your company. Engage in public arguments on social media. Keep your professional cool at all times. Remember, your social media use can easily be shared with a wider audience. When necessary, take tough conversations offline. Now that you have an idea of when and where to be careful, it’s time to discuss all the great ways you can use social media to boost your professional brand and better support your business. Join relevant professional groups on LinkedIn. Look for groups organized around your industry, subjects about which you’re seeking to learn more, and opportunities to connect with freelance talent and other small business owners. These are great places to ask questions, look for potential partners and customers, and offer your business expertise to build your professional credibility. Connect and network with potential business partners. Whether on LinkedIn, Twitter, or Facebook, if you invite someone to connect with you, always send a short note of introduction that includes who you are, what your business does and why you noticed their profile. And remember this networking golden rule: Always offer some type of help, even a new connection, before asking for favors in return. Monitor what people are saying about your business. This is a great market research tactic. In fact, Ryan Holmes, CEO of Hootsuite, makes it a daily habit to peruse Twitter or mentions of his company to find unfiltered feedback on his company. Show you care by responding to and supporting your company’s customers. Customers (and employees) generally appreciate an accessible business owner. Displaying a willingness to respond to customers’ concerns and answer questions about your services or products. It can do wonders for your business—both its reputation and its sales. One small business advantage lies in the ability to build and maintain a tight knit community—one that customers want to be part of and return to. The great thing about social media? It provides a way to further engage and support your community of customers, vendors and partners. You can update current and potential customers, ask for feedback and create inexpensive, targeted ad campaigns. Small businesses can share social media content that inspires potential customers to visit their website, which can drive more sales. Many customers use social media to reach out to businesses, and many expect a response within 24 hours. Make your business more discoverable, helping you gain new customers. Just as there are potential downfalls with personal social media use, businesses must also be careful with how they handle their social media presence. Forget to include basic information, like a link to your website, a simple description of your products and/or services, and, if applicable, operating hours and a menu. Neglect to use consistent visual branding. Check that all profile graphics (e.g. logos, cover photos and post images) follow your brand guidelines, especially across various social channels so as not to confuse customers looking for your business on social. Delete negative reviews or comments. Doing so will likely drive further anger from the poster and could result in more negative posts or reviews on other sites you can’t control. Instead of ignoring the issue or looking like you have something to hide, publicly respond in a respectful manner and offer to address the poster’s concerns offline. Only post promotional content. This is one of the quickest ways to not only drive down engagement, but also lose followers. It’s fine to occasionally share news about an exciting sale, an event, or a new product, but don’t make that the only thing you do. Try to maintain a presence on every single social media platform. Instead, consider the demographics of your target audience, as well as which social media channel will work best for the type of content you plan to share. Then select the platforms that make the most sense. Check out what you should do below, from overall strategy to specific engagement tactics. Show your brand personality by using a consistent “voice” when posting. Is your company fun and light-hearted or authoritative and knowledgeable? Be sure your posts demonstrate these defining traits. Curate and share essential information. Go beyond including your website and hours by creating albums that share product photos and information, including ordering information in About sections, asking for reviews and testimonials, and sharing videos with product demonstrations. Actively engage with other social media users. Answer questions. Ask for feedback on your products. Look for ideas on how to improve. In short, be part of a two-way conversation. Understand your main social media goals and which metrics you will use to track your success. Are you using social media primarily to increase brand awareness, drive website traffic, generate sales and leads, support your customers, or a combination? Once you know what you’re aiming to achieve, consider which metrics to keep track of. Small businesses can enjoy plenty of benefits when using social media wisely. And when you add a small business owner’s positive social media presence, these companies can get an extra boost. Follow these guidelines and tips to navigate your social media use, so it only works to your advantage—not your detriment. If you’re just getting started with social media, check out the Social Media Quickstarter, designed to help you get started on Facebook, Twitter, Pinterest, Instagram, and YouTube. The post How to Manage Your Personal and Business Online Appearance appeared first on Constant Contact Blogs. This entry was posted on Friday, March 29th, 2019 at 11:11 am	and is filed under Business Tips, Fresh Insights, News & Updates. You can follow any responses to this entry through the RSS 2.0 feed. Both comments and pings are currently closed.